I am working on a Cuban birds checklist in German, Italian and French. Birding mainly in Zapata Swamp, and Sierra de los Organos in Pinar del Rio. Another birding place in Topes de Collantes-Trinidad. Always looking for endemics birds endangered Bee Hummingbird,Zapata Wren,Zapata Rail, Zapata Sparrow, common Cuban Trogon and Cuban Tody. Specialist in cuban owls, Stygian Owl and Cuban Pygmy Owl, always in Zapata Swamp, Bermejas, Santo Tomas, La Salina and Hatiguanico River. Don't forget interesting Gundlach Hawk, endemic Prey, rare to find in Tesoro Lake, Guama. Pinar del Rio is good for Cuban Solitaire, Cuban Green Woodpecker and Bee Hummingbird. I recomended Route Fermin Z. Cervera begin La Habana, Botanical Garden, travel East Hatiguanico River, Guama, La Salina, Santo Tomas and Bermejas. Three days, and after Pinar del Rio, Vinales,Soroa, Guira, two days, and finally Guanahacabibes Far West, Cuban Tody, Cuban Trogon, Bee Hummingbird and a lot of endemic lizard anolis and boas, genus Tropidophis. Any time, and all year long. Pedro Regalado is a professional ornithologist. 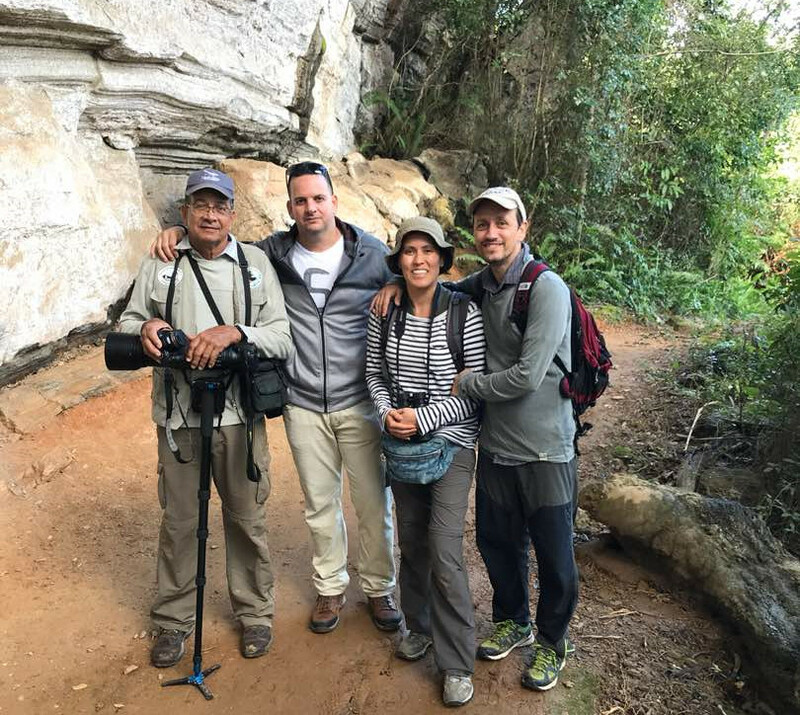 He currently provides birding experience with his son Alain Regalado in several areas of Cuba like Vinales Valley, La Guira, Zapata Penisula and Swamp, Cayo Coco,Cayo Guillermo and Najasa. 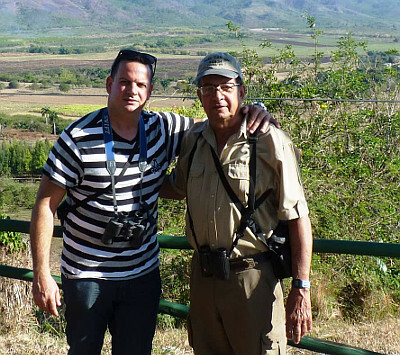 Pedro has painstakingly worked on bird conservation in Cuba. 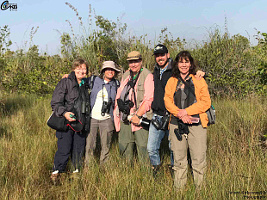 With his extensive travels and studies around Cuba for last 45 years, he has contributed to most documented work on Cuban endemic birds including the elusive Zapata rail, the Cuban kite, and the endangered ivory-billed woodpecker. He discovered several sub species of the Cuban sparrow(Gorrion Cubano in spanish), also called Zapata sparrow of Cayo Caco, Cuba. He has worked on initiatives such as the first formal count of bird species living in rice paddy-fields, first nesting box program, and the first bird banding, among others. Pedro Regalado was the leader of the team who in 1970 chose and protected three of the most important bird reserves in Cuba: the Zapata Peninsula (Swamp), the Cayo Coco and La Belen areas. This effort was critical for the conservation of Cuban birds and these areas are currently the most important birding areas in all the country. Also, these areas are included between the 28 Important Bird Areas (I.B.A) which has been designed by BirdLife International. 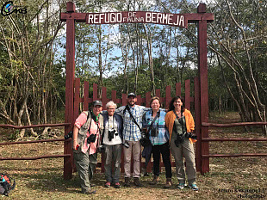 Pedro has worked for many years in the area around Najasa, in Camaguey province, especially in and around of the La Belen Protected Area, where he has conducted studies on threatened species, including Giant Kingbird, Cuban Palm Crow, Cuban Parakeet and Gundlach Hawk. Vinales Valley, La Guira, Zapata Peninsula and Zapata Swamp, Cayo Coco, Cayo Guillermo, Camaguey Najasa. Hi, my name is Arturo Kirkconnell Jr, and the one by my side is my father Arturo Kirkconnell, the author of the Field Guide to the Birds of Cuba. He established the actual birding itineraries in Cuba. I have been birding and travelling through all the country with my father since I was 12 years old participating on his bird research as his field assistant. The first tour I lead was for British birders eight years ago and since then I've been doing it. 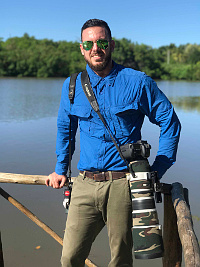 At present, he is 31 years old and currently working on several projects on the birds of Cuba, as the Photographic Field Guide To The Birds Of Cuba, an App for the Birds of Cuba as many others. I can show you all of the Cuban endemics, including the Bee Hummingbird (the smallest bird in the World), Blue-headed Quail-Dove, Fernandina's Flicker, among others, also Nearctic and others Neotropical birds that can be found. Also other birds that are best searched for in Cuba like West Indian Whistling Duck, Olive-capped Warbler, Bahama Mockingbird, Thick-billed Vireo and many others. I arrange tours for groups and individuals. I agree an itinerary with you and then get a price for the services required accommodation, flights (from UK only), car hire, local guides, reserve entrances in any combination from Havanatour UK, a subsidiary of a Cuban tour operator. These services are then booked for you by Havanatour UK who are ATOL bonded for your security. I provide information on finding birds, driving in Cuba, comprehensive directions using Google Earth and any other information you may require. You do not pay for my services as I work on commission for Havanatour. Contact me with no obligation. 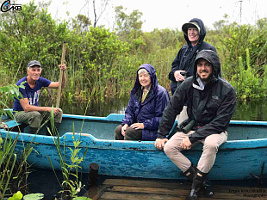 Over the course of the last 24 years I have worked with both Chino and Angel as guides with groups of birders, as well as working with them on conservation projects in the Zapata Swamp. They are both superb bird guides who work hard to find the specialities of the area. When I arrive there with a group, I know that they will already have found the best place to see Bee Hummingbird, where the Stygian Owl is roosting and which is the best trail to find quail-doves. I always send individual birders to them because I know that no-one will be disappointed. Essentially, you must (by law) have a guide to bird in the forests and swamps of Zapata and if you want to get the best from your visit, then use Chino or Angel because they are the best you may even get to see the Zapata Rail although I haven'Â¦ yet!